Just as the Gutenberg printing press paved the way for information and ideas to be spread by allowing mass communication, the advent of 3D printing brings the ability for anyone to share design concepts and create physical goods on demand, anywhere. However, intellectual property policies have hindered the 3D printing industry, and increasingly restrictive policies could harm this innovation in unintended ways. 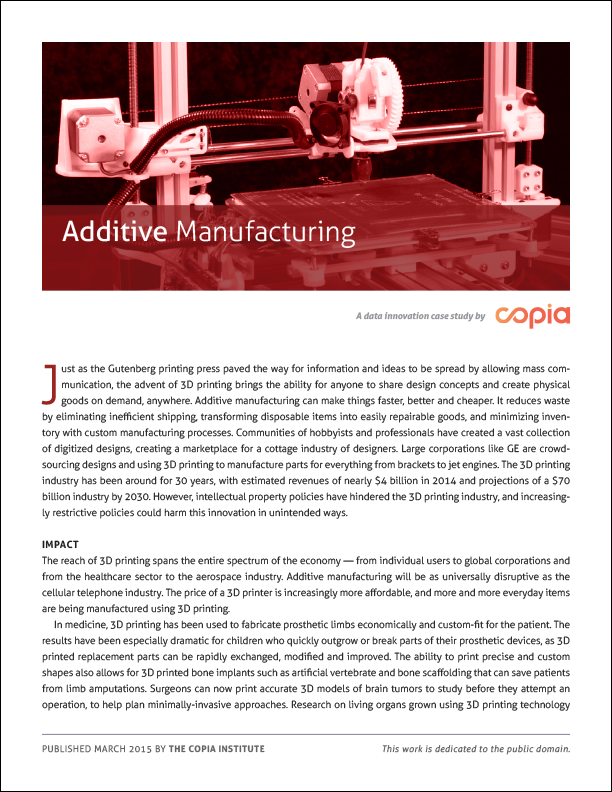 This case study examines the reach and impact of 3D printing, and its implications in the world of copyright, patent and trademark policy. Unable to embed the PDF file. Please try accessing it directly.